If It's Not Imperial Gold Maca™ It's Just Not Maca! 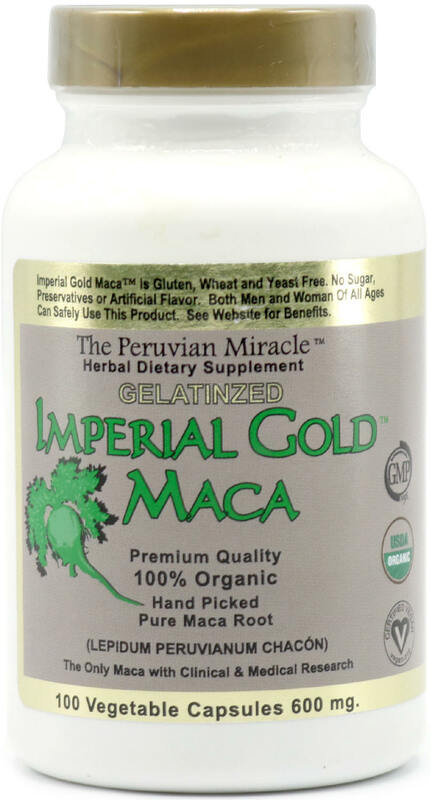 Imperial Gold Maca™ is GUARANTEED! to be the correct species of Plant, Lepidium peruvianum Chacon, which Is the only Maca that has been verified by Dr. Gloria Chacon de Popovici the Discover of this species which contains the unique Alkaloids that contribute to the Medicinal & Nutritional Benefits of this product. So you can be sure that this is genuine Maca not a pharmaceutical grade or GMO that's made in a laboratory and called Maca. 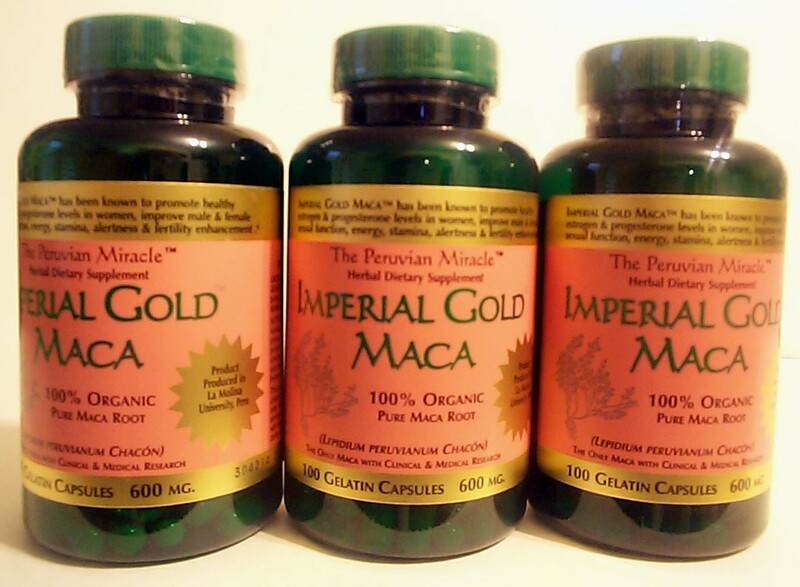 Imperial Gold Maca™ Is a very pure and potent root free of contamination of any kind. Grown and Harvested in Peru IN CERTIFIED ORGANIC SOIL. the TLC, HPLC, UV, FTIR, Gravimetry, and Titration protocols. 454 gr. A FULL POUND! be used internally and externally to help fight numerous health conditions safely. Medicine of Peru - BOOK This Book answers most questions that men and women may have about this Maca. Learn how Maca increases energy, balances hormones and enhances sexual function for both men and women. Premium Organic Grade SUPER POTENT! Information on this site is provided for informational purposes and is not meant to substitute for the advice provided by your own physician or other medical professional. You should not use the information contained herein for diagnosing or treating a health problem or disease, or prescribing any medication. You should read carefully all product packaging. If you have or suspect that you have a medical problem, promptly contact your health care provider. Please Note Books and bulk products are not returnable. *Full Money Back Guarantee, Less Shipping and Handling - Please Note: Books, Bulk Powders, Atomic Energized Iodine and Oil of Oregano Are Not Returnable. Opened Items are also not returnable. Please read terms and conditions.